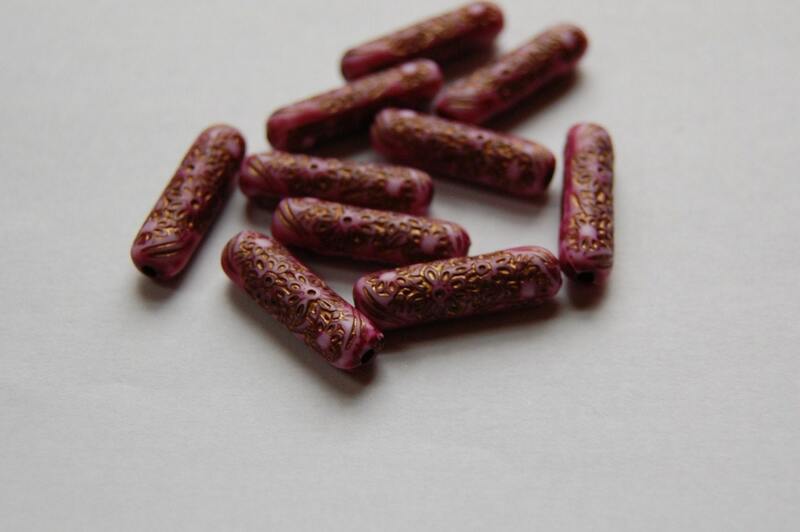 These are a really fun shaped bead. 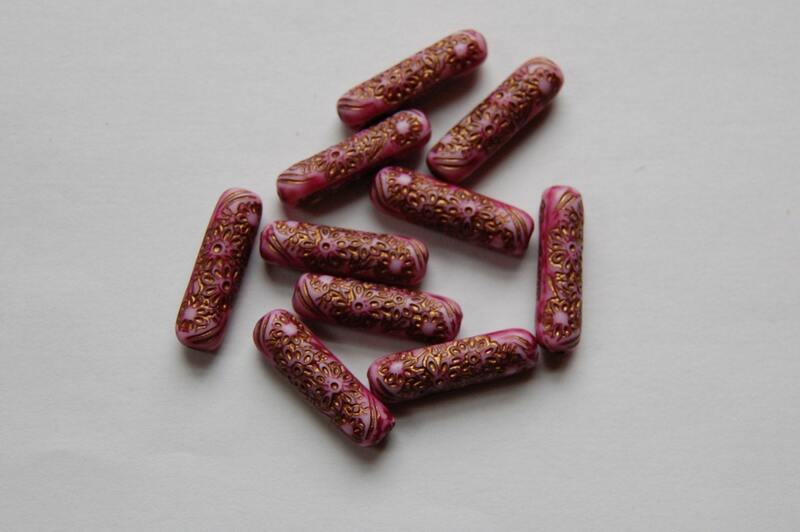 They are a vintage style etched bead done in pink with gold details. These measure 20mm x 15mm. You will receive 10 of these. Pretty beads, good price and fast shipping. Happy return customer! Thank you!